OK, I really couldn’t wait to share this. And to be perfectly honest, this costume is not worth it’s own blog post, but oh… the cuteness. 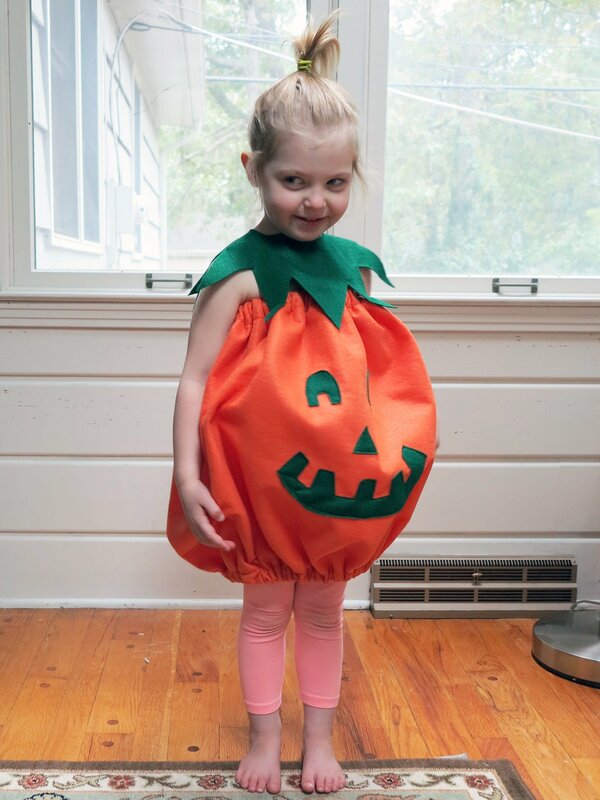 There was only one thing Miss Three wanted to be for Halloween: A pumpkin. So: I cut a very large rectangle in some very cheap orange felt fabric, roughly appliqued on a face, gathered both ends with elastic, and finally, freestyled a collar that I handstitched to the pumpkin body like a bodice. That’s all. This entry was posted in Uncategorized and tagged costume, Halloween, pumpkin on October 12, 2015 by Debbie Iles. Awww! The cutest lil’ punkin’!! So cute! 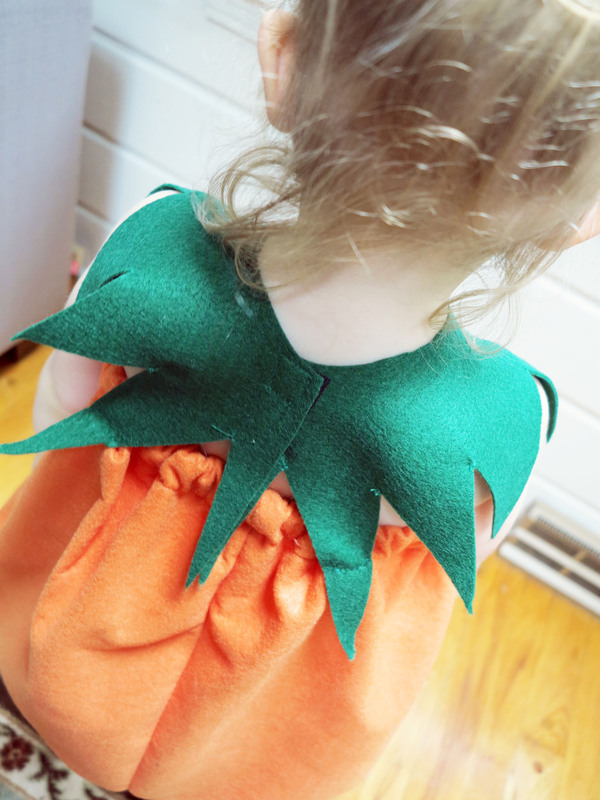 I’m going to have to force my kids to be pumpkins, like it or not! Cute!!! I might have to convince Imogen to be a pumpkin for something. She has my old clown costume to wear this year. I wore it when I was her age to a dress up party. Halloween is such an eventful week here. We literally have 5 different Halloween parties to attend in the space of a week. Being used to doing pretty much nothing at all in Australia (certainly growing up with no halloweening on the gold coast) and then only a little bit of token trick or treating with a toddler in Sydney, I wasn’t quite prepared for the hype the first year. But this year (whilst I’m still lazy with the costumes) I’m actually looking forward to the fun. The best part is a day of the dead puppet show and craft night I’ll take the kids to next Wednesday.